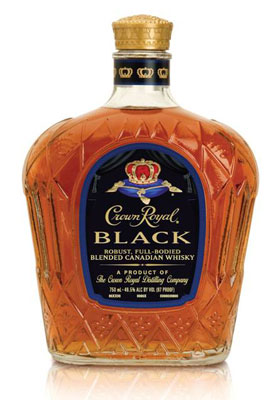 Hand-crafted by master blender Andrew MacKay, Crown Royal Black is a darker and more robust whiskey. It is matured in oak barrels and blended at higher proof for a more concentrated flavor. With its rich texture and deep bourbon notes, Crown Royal Black maintains the Crown Royal creamy profile while exhibiting subtle dry fruit flavors like fig. Sweet maple accents and a light vanilla finish complement its oak background.